Happy Sunday friends! 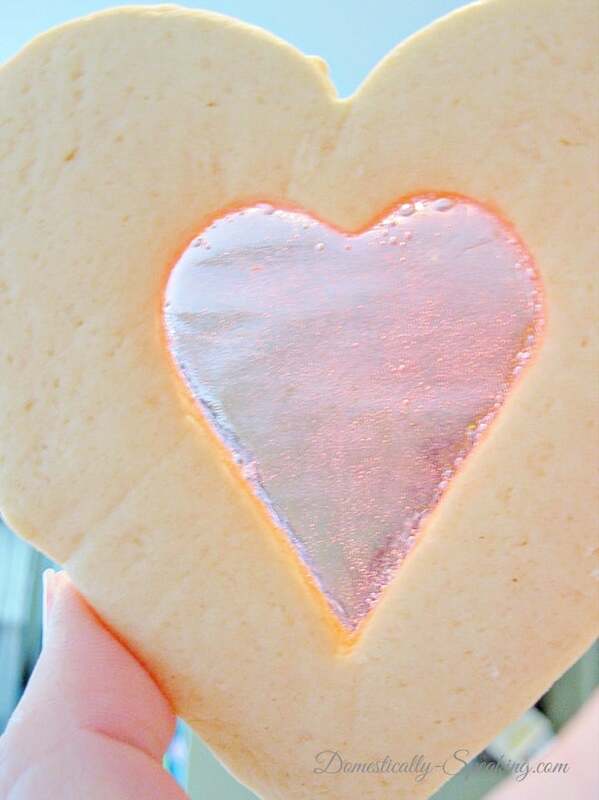 Today I’ve got one of our favorite Valentine’s Cookies ~ Cookie and Candy in One to share with you. We’ve been making these every year since my oldest was in preschool. It’s a candy and a cookie all in one and so pretty too. Start with your favorite sugar cookie recipe or store bought if you want to go with quick and easy. Roll out your dough and place the large heart shaped cookie cutter first. like the one I use. 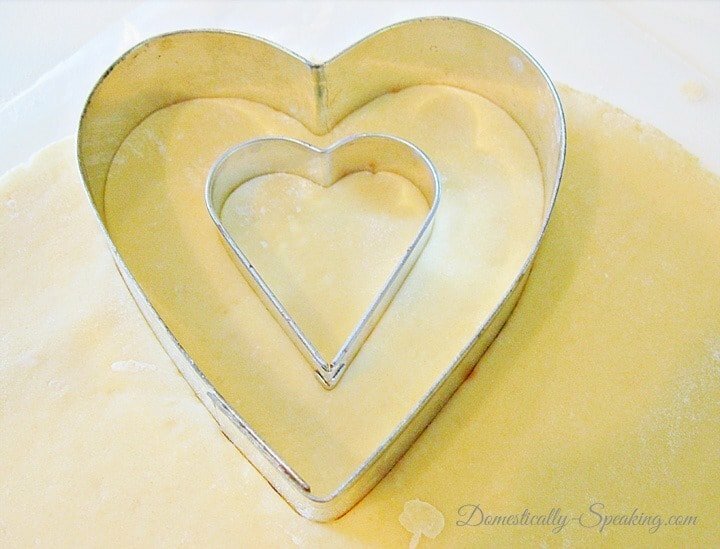 Then center the smaller heart in middle of the larger cookie cutter. 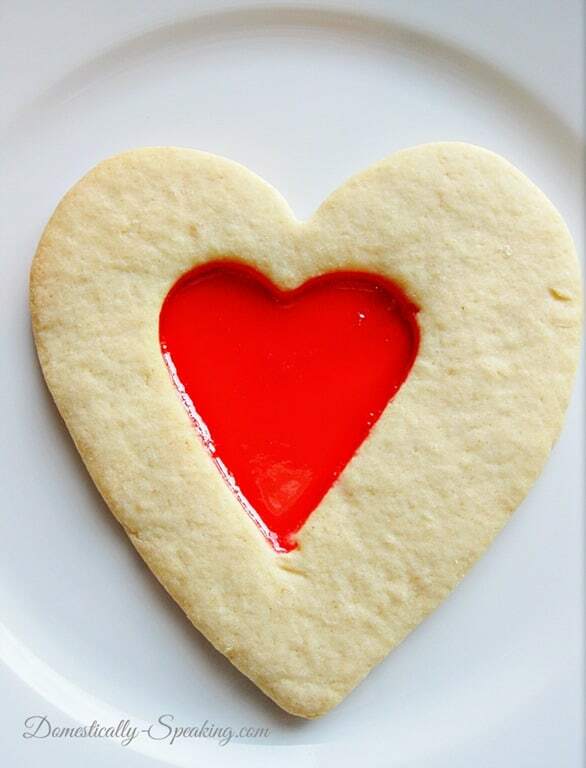 Place your hollowed out hearts on a cookie sheet. I love using parchment paper when I made cookies… anyone else? Then place a Jolly Rancher candy in the center. Bake your cookies at the temperature and time length that your recipe calls for. 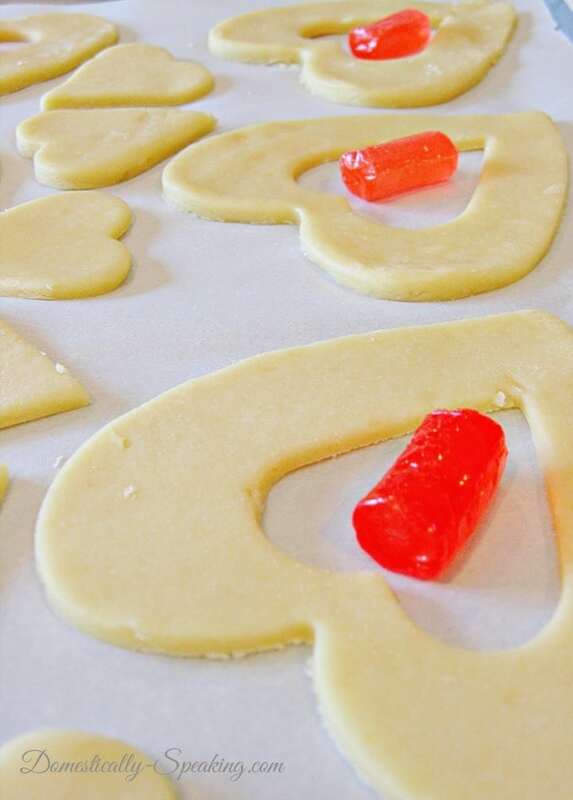 Super cute and super easy… your kiddos will love these Valentine’s Cookies and Candy in One and so will their friends. Thanks for stopping by… have a great rest of your weekend! My two fav things in one! Pinned. Mmmm – wow these look so delish Maryann!! This would be sure to satisfy my sweet tooth! Pinned! These are lovely Maryann. I have been wanting to make something similar… now I will do it for sure!